I doubt if there is any fruit as versatile as jack fruit simply because of its culinary usage at various stages of its growth. 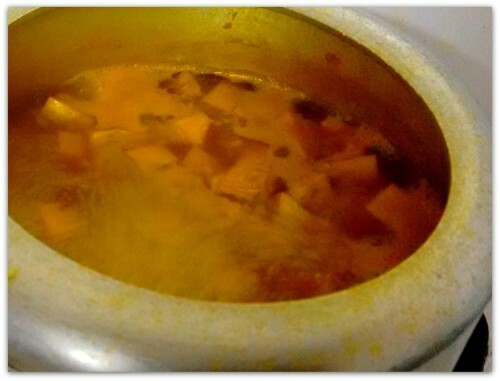 Probably banana comes a close second, but we love Jack, as nothing beats a well made echorer dalna (thick gravy with raw jack fruit ) in the domain of Bengali vegetarian delicacies. 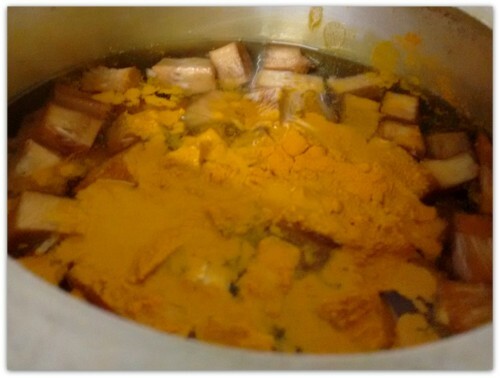 So much so, that echor is often called “gachh pathha” in Bengali (loosely translated into vegetarian meat). Now that we are onto it, lets get going. 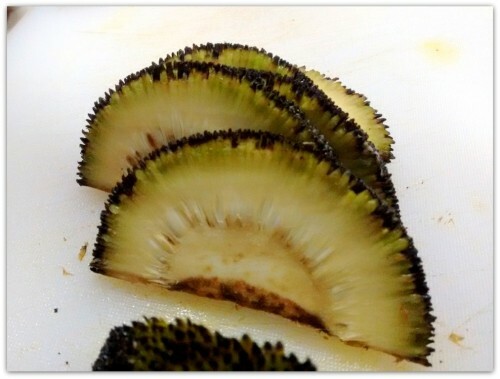 Cut the echor into slices and remove the thick outer shell. This probably is the toughest part of the prep, as it requires some muscular effort. To make life easier, get its done by some one else ;). 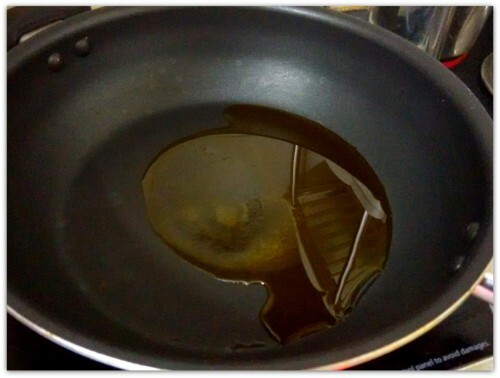 If you can’t, then grease the knife with some oil when you are doing so. 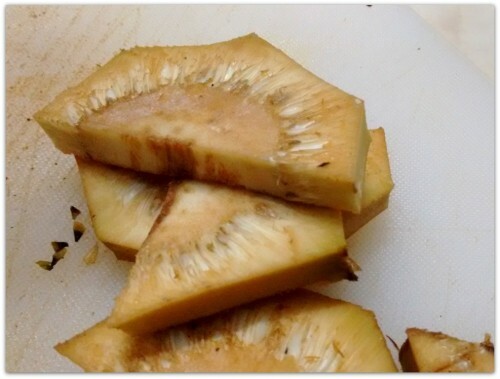 Cut the fruit into small cubic chunks and keep them soaked in water to prevent oxidation. 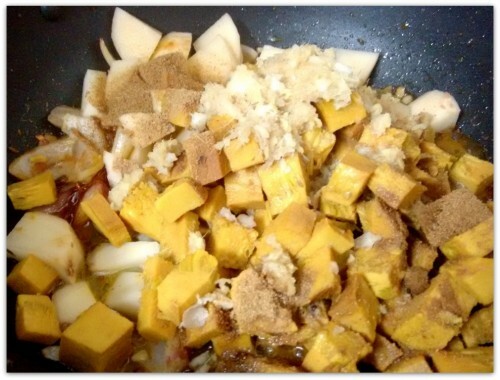 and make a paste of a whole garlic and thumb sized ginger and keep aside. 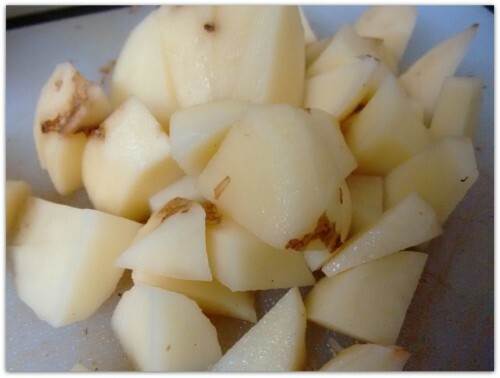 Also dice couple of medium sized potatoes into small chunks. 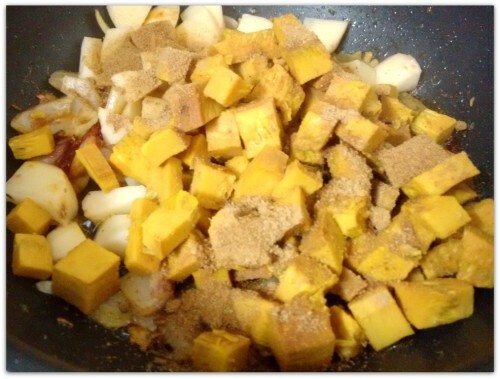 and add 1 tbsp of salt, turmeric powder and mustered oil. Heat the mixture keeping the lead open for about 10 mins. 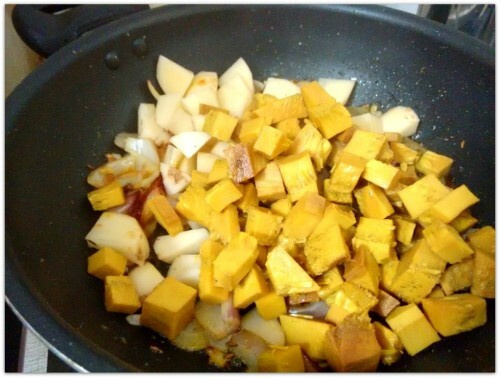 As per my mother this helps in making echor tender while oozing the flavors in. After about 10 mins put the lead on, and wait for about 4 to 5 whistles. 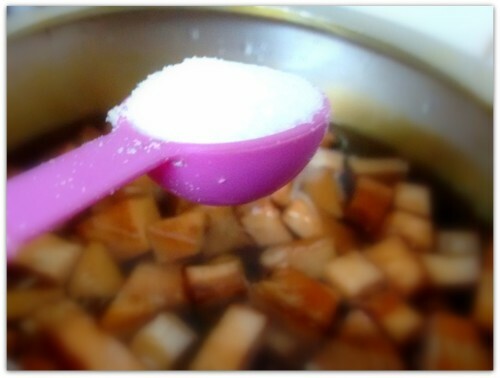 Once the whistles have blown away the steam, take the mixture out and drain the water away. 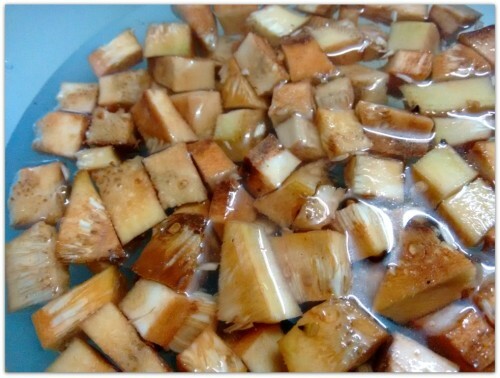 To prepare the echorer dalna, take a kadai, and heat up 1 tbsp of oil. 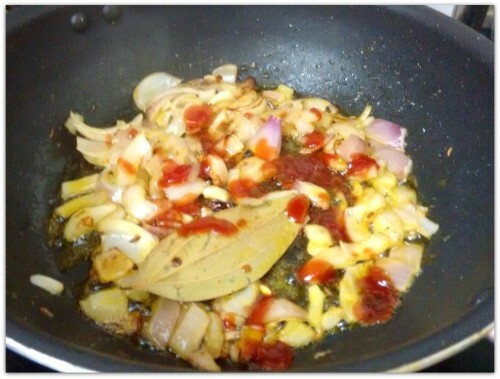 Add cumin seeds, one bayleaf and wait for about a minute. 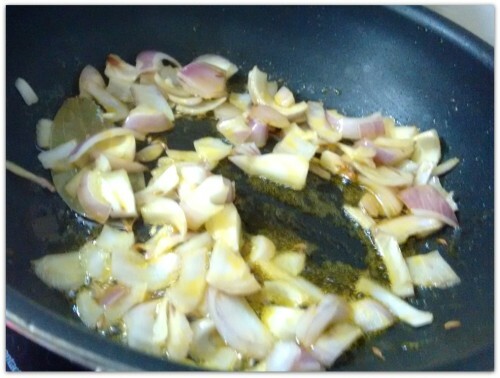 Throw in the onion and fry them till golden brown. 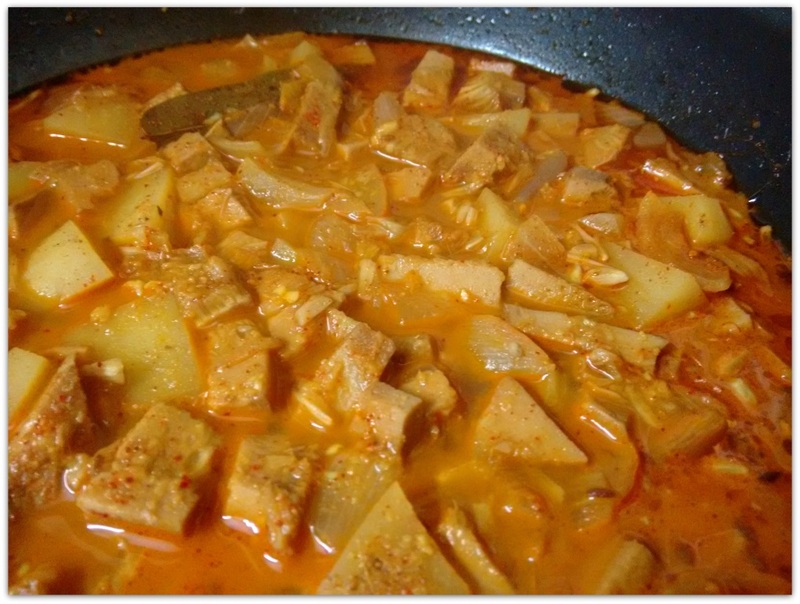 Add about 2 tbsp of ketchup (you can as well use tomato instead) and the drained echor to the mixture. 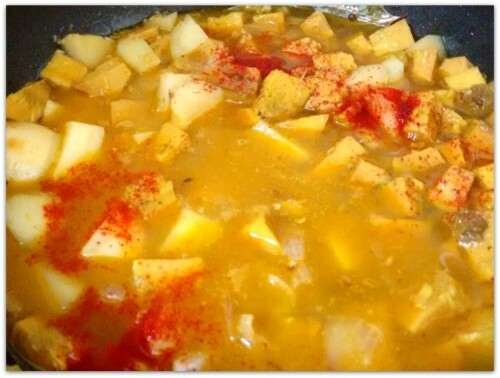 Add the potatoes, the ginger garlic paste, about 1 tbsp of cumin and coriander powder, 1 tbsp of sugar, 1 tbsp of Kashmiri chili powder, some salt to taste and a cup of water. Heat for about 10-15 minutes. Keep checking and tasting along the way to satisfy yourself about the progress. Echorer Dalna is ready. 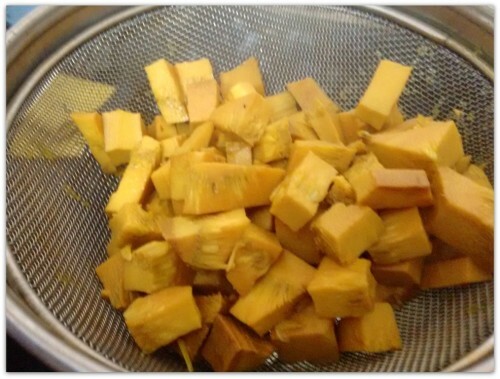 Serve with steamed rice or roti when done. 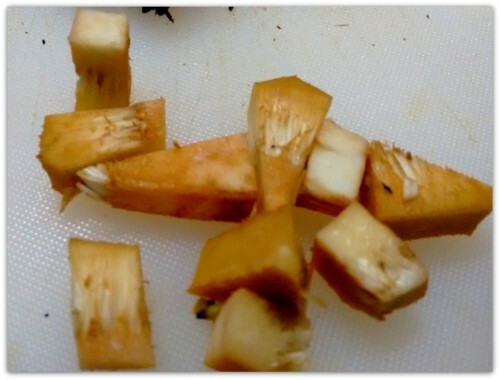 Cut the fruit into small cubic pieces. 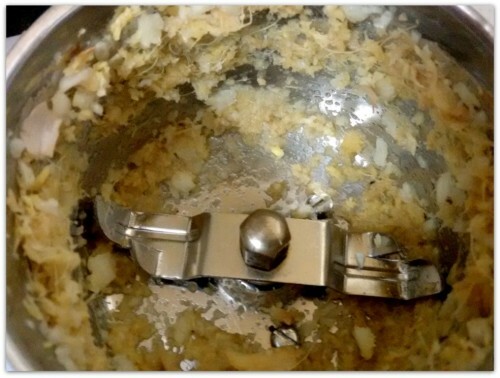 Grease the knife to make the job easier. 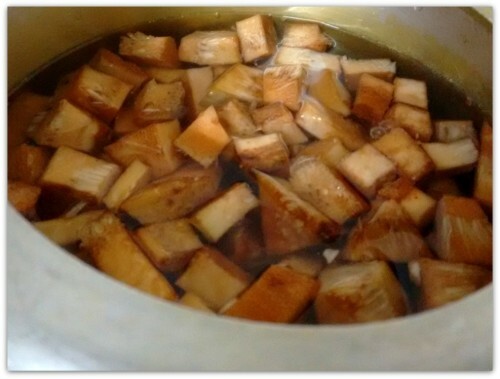 Put the pieces into water and pour them in a pressure cooker. 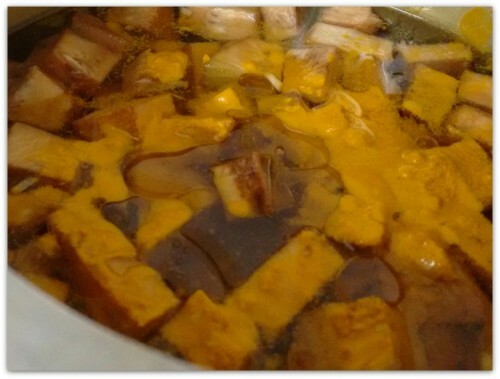 Add salt, turmeric powder, oil and heat the mixture for 10 mins with lead open. Cover up the lead and blow 4-5 whistles. Drain the water and keep the echor aside. 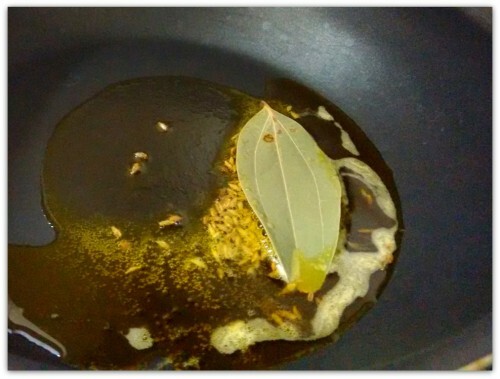 Heat some oil in a kadai and add some cumin seeds, and one bayleaf. 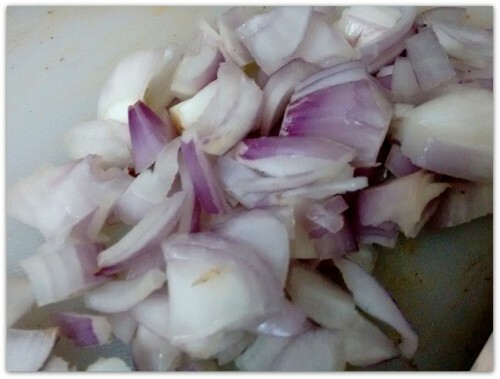 Cut a large onion into small chunks and throw them in. 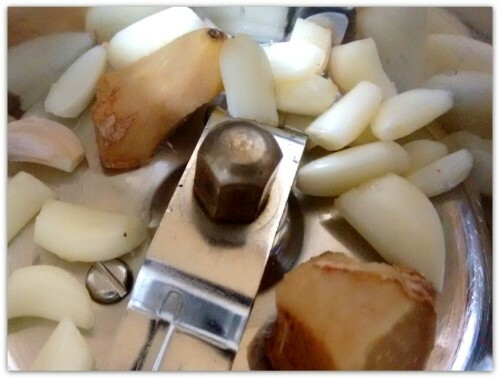 Make the ginger garlic paste and keep aside. Add the echor, the ginger garlic paste, 1 tbspn sugar, 1 tbspn kashmiri chillii powder, cumin and coriander powder and salt to taste.